Infusion pumps are used to deliver metered doses of medication or fluids to patients in a way that saves time and money over having the nursing staff perform the task. Until recently, these devices were offline, stand-alone instruments. Now, wireless technology allows these devices to be connected to several different systems, allowing for constant monitoring and remote control. 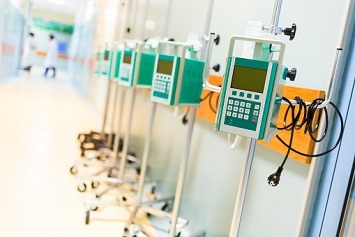 The news of vulnerabilities in wireless infusion pumps highlights the incredibly complex technical data environments HDO’s security staff must contend with. HDOs utilize numerous converging networks that handle personally identifiable patient information across coding, billing, and insurance systems; clinical care management; inventory and supply chain management; and supporting industries like pharmaceuticals and radiology. If improperly configured, these devices could easily serve as a gateway for cybercriminals to carry out an attack against a patient or gain access to an HDO’s broader networks. The potential for significant reputational and revenue damage. With that in mind, the National Institute of Standards and Technology (NIST) and the National Cybersecurity Center of Excellence (NCCoE) partnered with a number of industry vendors and integrators to create standards, providing HDOs with a series of best practices. While directed at the healthcare industry, some of these best practices (such as the defense-in-depth strategy) are more broadly applicable. The free publication can be found at the NCCoE website.